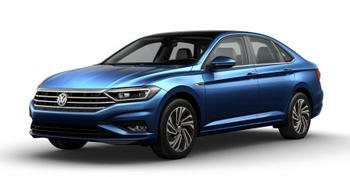 Volkswagen Group of America is recalling 6,322 model year 2018-2019 Atlas, model year 2015 Golf SportWagen, and model year 2019 Jetta vehicles. If a coil spring fractures while the vehicle is being driven, a rear tire could be damaged causing a loss of vehicle control, increasing the risk of a crash. Volkswagen has notified owners, and dealers will replace the rear axle coil springs, free of charge. The recall began January 31, 2019. Owners may contact Volkswagen customer service at 1-800-893-5298. Volkswagen's number for this recall is 42J2/42J3.